The World Bank’s 2018 Kenya Economic Report, reports that 35.6 per cent of the population in Kenya live on less than the international poverty line (USD 1.90 per day). This puts Kenya among the lowest in East Africa and even lower in Sub Saharan Africa region. Sadly, the situation is worse for women particularly those in rural areas and urban slums. Women in these areas, face numerous challenges as compared to male counterpart. Limited access to credit, quality education and healthcare facilities are among the challenges they face. According to the Kenya National Bureau of Statistics (KNBS) Economic Survey 2018, 34 per cent of rural and 24 per cent of urban women and girls live below the poverty line compared to 31 per cent in rural and 19 per cent in urban of their male counterparts. Women, especially those living in rural areas of Kenya, spend long hours engaging in household chores such as collecting water and firewood, working in coffee, tea, sugar and sisal plantations, fishing and mining. Young girls are also involved in taking care of their siblings, sick relatives, running their mother’s small scale businesses. These activities interfere with their school attendance. Data from the Kenya National Bureau of Statistics indicates that more boys enrol for school than girls. In 2017 for instance, enrolment for boys at 1,681,530 and for girls at 1,612,283. Most families are unable to cover the cost of their children’s education and opportunity costs for sending children to school are high. Furthermore, as socio-cultural norms based on patriarchy prevail, families tend to give priority to boys’ education when faced with financial constraints. The 2010 Constitution of Kenya, vows to bring more women representation to the democratic processes. It recognized the need to increase women engagement and overcome traditional attitudes and prejudices. In light of these, several Non-Governmental Organizations have started initiatives to complement government efforts towards the alleviation of the poverty situation among women in rural and urban slum areas. The Pangea Network Kenya is one such organisation. The organisation works with women and youth in the informal settlements and rural Kenya in 7 counties; Nairobi, Kajiado, Vihiga, Siaya, Homabay, Mombasa and Kwale. 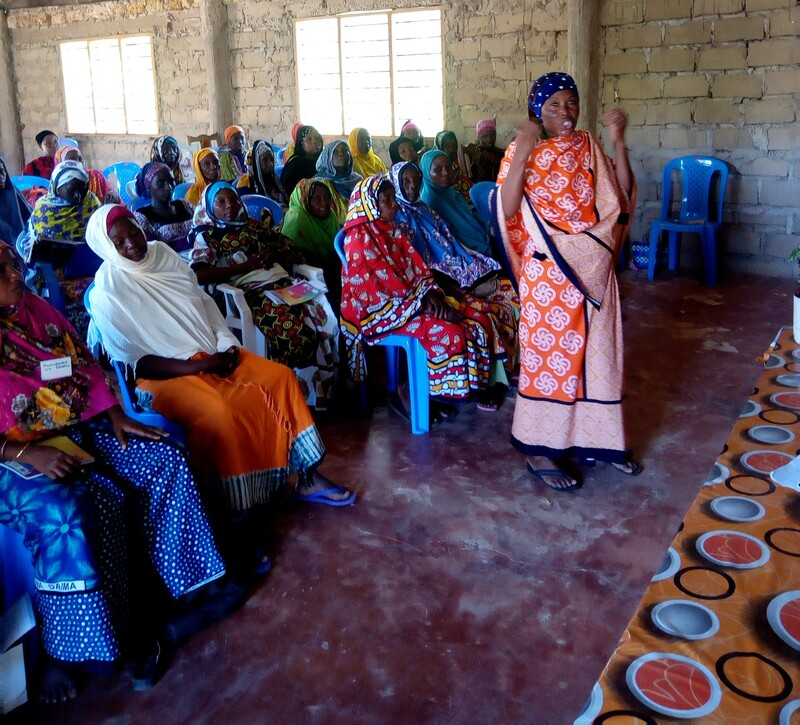 Through the Kenyan Women’s Network (KWN) Program, it provide tools and resources for women’s empowerment. Our empowerment training curriculum works to develop the whole woman from recognition of personal strengths to basic business skills, all building individual capacity to make informed personal decisions and increase overall quality of life for themselves and their families. The next phase of the program is micro-enterprise creation and growth which is a vehicle for provision of business loans to either start or improve existing businesses. These are monitored throughout their duration in the program and improvements recorded. Pangea keep improving on quality of the program by conducting follow up trainings on emerging issues and providing business coaching to ensure their businesses are sustainable. Through our program we have trained over 1000 women and empowered them with skills, knowledge and resources to empower them economically. These are women who were not privileged to complete formal education, neither do they have regular income, bank accounts, business capital; yet they bear the burden of providing for their families despite all these challenges. They have the zeal and willingness to do business but they lack the skills and finances to do this and are unable to access credit facilities from financial institutions, due to lack of records showing their cash flow. The Pangea Network bridges this gap. Pangea strongly believes that the key to Kenya achieving vision 2030 and the Sustainable Development Goals lies in empowering her women at the grassroots level hence our focus on empowering them. Empowered women have the ability to change the face of poverty and improve the lives of their families and communities.